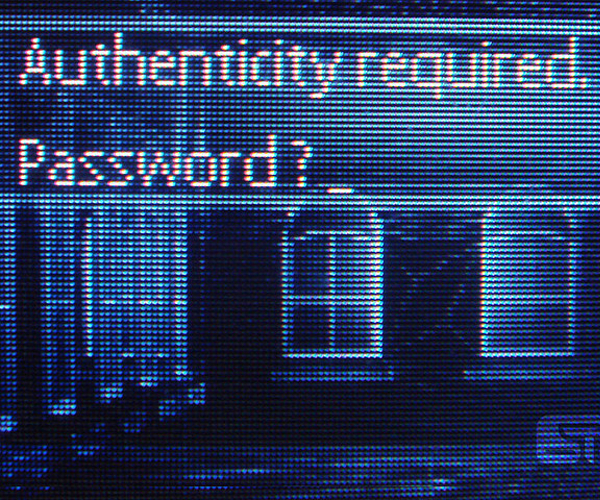 Let’s face it, remembering passwords rots. If there is any single reason that people choose terrible passwords (or use the same password for everything) it’s because remembering them is a royal pain. While OpenID and OAuth can help to some degree, it’s password managers like 1Password that really help solve the problem. Today 1Password released sizable update to v 3.5 that includes the final version of their Chrome extension which has been in Alpha-Beta since the summer. Chrome users, yeah if the lack of a stable extension for 1Password was one of the remaining things keeping you on Firefox or Safari (and believe me I was one of them until I loaded the alpha extension over the summer), now you have no reason not to switch to Chrome. 1Password 3.5 brings a whole new extension for Google Chrome and many other improvements! The Google Chrome extension is now officially out of beta! We completely redesigned it with tabs, keyboard navigation, and support for credit card and identity filling. This is a free update for all 1Password 3 license holders. Awesome new extension for Google Chrome. Added “Install Chrome Extension” to 1Password > Preferences > Browsers. Added Dropbox sync status to the sidebar. Added ‘Cancel’ button when editing items. Esc key now cancels editing. After clicking Install Google Chrome Extension, a help page is opened within Chrome with instructions on how to complete the installation. Reduced disk space required to store attachment icons. You can use Help > Tools > Rebuild data file menu to reduce the size of existing attachment icon files. The 1PasswordAgent process now only launches if it is able to do so. This will help avoid the “Throttling respawn: Will start in 10 seconds” messages in the Console when 1Password’s Application Support folder is removed. Now enforcing master password minimum length of 1 character to be consistent with iOS apps. Improved load time of Go & Fill menu for data files with many tag folders. Improved support for French and German localization. Improved handling of screen refresh when data file is changed by another application. Improved UI performance of 1Password application. Added tag sort column to the traditional layout. Reduced peak memory usage calculating tags and rebuilding database. Now calculating password strength for wallet items. Improved reporting of Firefox extensions in diagnostics reports. Improved thumbnail selection indication and behavior when pasting images. Improved automated backups to re-attempt the backup in 5 min if a failure was detected. Improved the reliability of automated backups. Fixed resizing of edit/save button in French localization. Fixed problems with Autosave in Google Chrome extension. Fixed memory leak in the Dock menu. Fixed memory leak when viewing items with attachments. Now calculating correct size of concealed password fields when in edit mode. Fixed import from Firefox 4. Improved first run experience when Dropbox is installed. The menu “Jump to Selection” (under Edit > Find) now works with the main window object list. Fixed bug with secondary sort order in shelves mode when moving objects into folders. Removed unused sound reference to fix “Could not find sound named ’40001′” warnings. Default placeholder password is no longer added to password history for newly created login items. Fixed problem remembering sidebar selection between launches. Lot’s of “improved” and “fixed” in there the Dropbox syncing on the sidebar is a nice touch, I do forget about it because it happens so stealthfully in the background. Now the Chrome extension. I’ve used 1Password on all the Mac browsers and several other Webkit tools as well and honestly, I think the Chrome extension is the more esthetically pleasing one of the bunch. It had a really slow start in the alpha and beta, but then one day this new UI appeared and woah. In comparison the same command-\ that brings up that window in Chrome, just pulls up a boring menu floating in space on Firefox and Safari (yuck!) not to mention you have to go up to the toolbar to get all the other functions! I’d say that the Chrome extension is leading the pack at the moment (and might be a hint of what’s to come for other browsers). Don’t just take my word for it, the Agile guys wax poetic about the new Chrome extension on their blog. 1Password is $40 and there is a Windows beta available now as well (as well as apps for iOS devices—I suggest the Pro version myself). Read next: Macbook Air receives Consumer Report's highest rating.